In Sanskrit there is saying which talks about 14 Vidyas (Knowledge) and Chausashta (64) Kalas (Arts). And if you check that list it feels as if lifetime is not enough to learn and master these arts.. isn't it? You will need some stones/pebbles, '0' size brush, acrylic colors, markers, varnish for final coat and a steady hand. 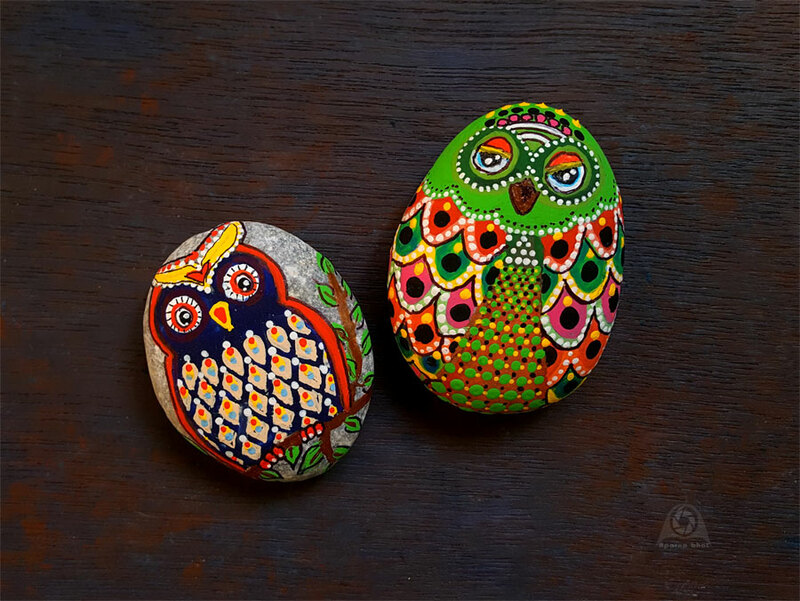 Use stones/pebbles with a smooth surface. Before starting wash and dry the stones very well. 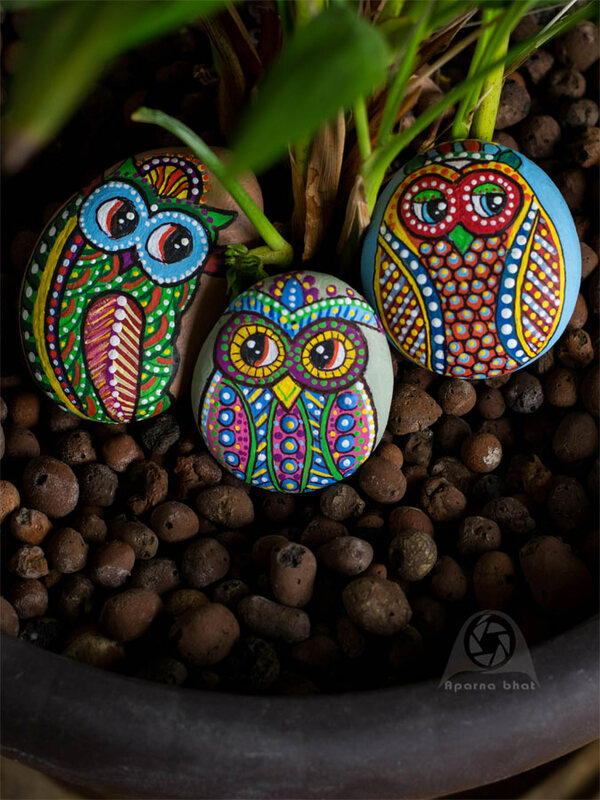 Outline the design with a pencil on the stone. Fill in the background color and main body colors. Allow it to dry completely before you go ahead with details. 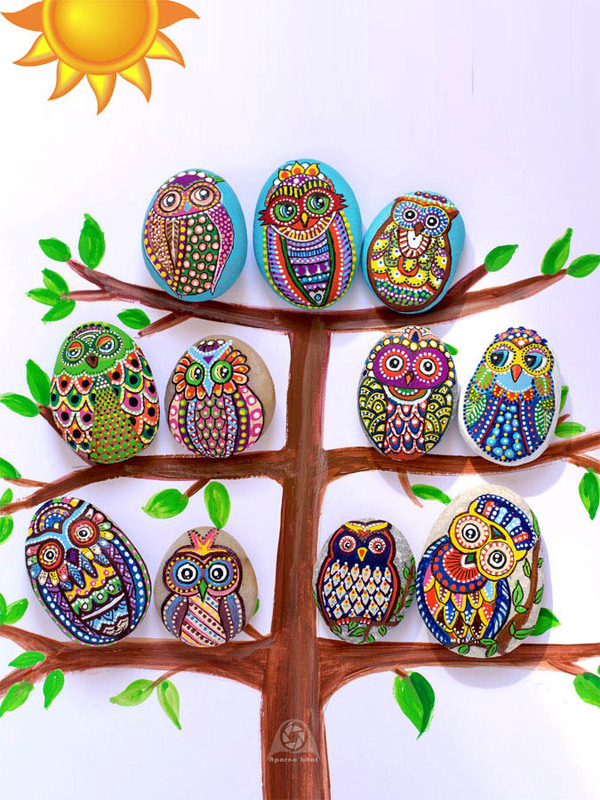 You may check the DIY video posted below to know more about painting owls on stones. Its really fun activity and quite easy. "If you are your authentic self you have no competition." After the painting dries completely, apply a coat of varnish to seat the colors and make it waterproof as well as dust proof.